In Sweden, a discussion on the Russian occupation in the Crimea and the Donbas was held. September 11, the Olof Palme International Center in Stockholm hosted an event entitled "Human Rights Violations in the Crimea and Donbas under Russian Occupation". Its purpose was to show horrific repressions in the territories of Ukraine occupied by Russia to the world. The event was organized by the Embassy of Ukraine in the Kingdom of Sweden and the international center of Olof Palme. Opening speeches were made by the Secretary-General of the Olof Palme International Center Anna Sundström and the Ambassador of Ukraine to the Kingdom of Sweden Ihor Sagach. A member of the Mejlis of the Crimean Tatar people, the Director of the news agency "Crimean News" - Qirim Haber Ajansi (QHA) Gayana Yuksel, along with lawyer, human rights activist of the Ukrainian Helsinki Union for Human Rights Daria Sviridova, the Head of the Information Center for Human Rights Tatyana Pechonchik, and the coordinator of the Crimean Human Rights Group Olga Skrypnyk told about persecution of the indigenous people of Crimea by the Russian authorities. Participants of the event reminded the history of the occupation of Crimea by Russia, and also raised the problem of systematic persecution of Crimean Tatars and ethnic Ukrainians on the peninsula. 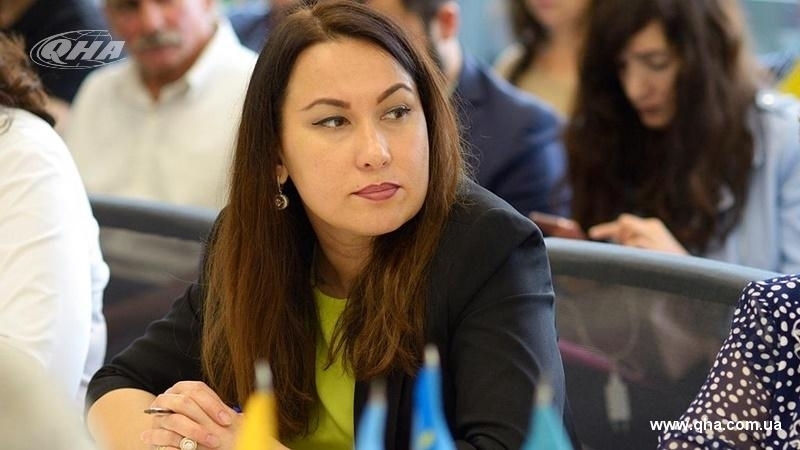 A member of the Mejlis of the Crimean Tatar people Gayana Yuksel commented on her participation in the event to QHA. “In my speech, I focused on the criminal cases the occupation authorities of the Crimea opened against the Crimean Tatars. I spoke in detail about the situation prevailing on the peninsula - about persecution, criminal cases, pressure and intimidation. I began my speech with information about the unlawful trial of Akhtem Chiygoz, who was sentenced to 8 years of imprisonment by the so-called court. This is another vivid example of pressure on the Crimean Tatars and the intention to intimidate them. This is an indicator of how the invaders treat the indigenous people of the Crimea," she noted. During the event, the guests were shown the film "CRY OF THE INDIGENOUS CRIMEAN TATARS IN OCCUPIED CRIMEA", dedicated to the constant persecution of the indigenous people of Crimea by the Russian invaders. Apart from the Crimean issue, the event also raised the problem of violation of human rights and civil liberties in the conditions of Russian occupation in the Donbas. The Chairman of the "East Ukrainian Human Rights Group" Pavel Lisyansky, activist of the public organization "Public Labor Control" Vera Yastrebova and lawyer of the "Ukrainian Helsinki Union for Human Rights" Nadia Volkova told about forced labor, repression and discrimination against local residents with the side of the militants. Previously QHA reported that the so-called Supreme Court of the Crimea today, September 11, fully supported the charge against Deputy Chairman of the Mejlis of the Crimean Tatar people Akhtem Chiygoz, for whom the prosecutor's office requested 8 years of imprisonment. President of Ukraine Petro Poroshenko called the case against Akhtem Chiygoz "another sentence of Russia, which the UN recognized as an occupier". After 150 meetings, on August 1, the occupying judges completed the investigation into the case of Akhtem Chiygoz. On August 9, in his last speech in the "court", Akhtem Chyigoz stated that he would accept the verdict for the entire Crimean Tatar people. The Deputy Head of the Mejlis of the Crimean Tatar people Akhtem Chiygoz, was detained in January 2015 for participating in a rally in support of the territorial integrity of Ukraine in front of the building of the Verkhovna Rada of the Crimea on February 26, 2014. At that time, the protesters were opposed by pro-Russian activists, including the "Russian Unity" party. The Russian authorities of the annexed Crimea accuse Chiygoz of organizing riots.